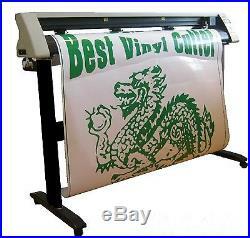 BRAND NEW 48 inches SM Vinyl Cutter. 500 Grams down force. 60 cm /s speed. Accepted material width: 48 inches. Maximum cutting width: 47 inches. Advanced Cutter Control Panel. Double support for vinyl rolls. Compatible with Windows, XP, Vista & 7, 8. 5000 Cliparts ready to cut. 200 Top quality Fonts. Access to your TTF fonts. Manual & Training DVD-Rom. 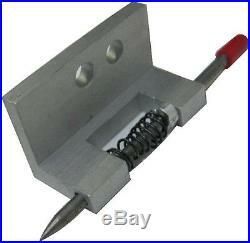 THIS CUTTER ONLY NEED STANDARD VINYL FROM 3 TO 48 INCHES. Usb & Serial Connection. 4 Pinch rollers tension adjustable. Smooth -Feeding Media supply. Download now our free functional demo. WinPCSIGN PRO 2014 – NEW Features. 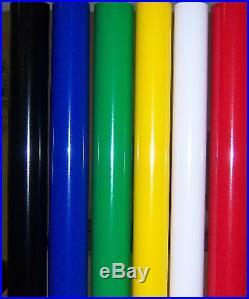 T-Shirt vinyl color palette. Monument: Ogee & Taper. Monument: Granite texture pack. Contour cut using ARMs for GCC & SAGA cutters. Our software is compatible with Windows, XP, Vista & 7, 8, 10. You don’t need internet connection to run WinPCSIGN Pro 2014 software. Comes with 1 USB Dongle, training DVD-Rom. What you can cut with this system? How to create Rhinestone patterns movie. 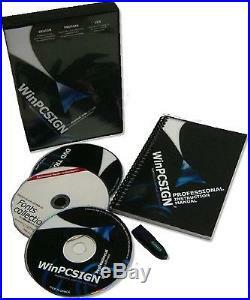 WinPCSIGN offer the most complete and easiest tools. Import PDF , AI, EPS vector files. Export AI, EPS, JPG, BMP…… Directly access to our Training Video. 5000 logos ready to cut. Piercing, Embroidery and Scissor tools. 200 top quality MAX fonts. Apply Crop mark to your design. Access to your True type fonts. Convert your image for Cutting, Printing or Rhinestone. Logo ready to send to the cutter. Paste an image to WinPCSIGN from any web site, then convert it to vector. WinPCSIGN offer 3 vectorization function. You can also enlarge the image to enhance the vectorization result. Send your logo to the cutter then apply the stone and transfers it. Save time and increase your cutting productivity. Cutting by color and object selection. Change knife offset value. Cut bigger than your cutter size. Engraving and Pouncing capabilities. Cut Crop Mark using Mechanical Pointer. AMAZING FEATURES TO CREATE RHINESTONE PATTERNS. Is an amazing tool to personalize your design with real stones. WinPCSIGN Rhinestone software comes with easy-to-use functions that will automatically fill a shape with rhinestones: select the desired stone size and control the spacing between each stone. WinPCSIGN also allows you to distribute the rhinestone on a path or text, so you can apply it practically to everything; from t-shirt, handbags, cell phones to glasses, jeans and more.. Select SS stone size and spacing. Convert logos to Rhinestone patterns. Select the desired stone using Lasso. Apply any shape to a selected path. Automatic fill stone to your selection. Others features included on WinPCSIGN Pro. Automatic logos classification on Clipart viewer. Create groups of logos or files, then visualize them from Clipart screen. WYSIWYG, function allow you convert and preparing logos before to send to cutter. Outline Distortion Perspective Texture Shadow Gradient 3d Rotation. This features and more are included on WinPCSIGN Pro. SAVE TIME with our Fonts Finders function. This feature is a fonts identification tools. With a date base of 7000 fonts it is easy to scan a business card and find the fonts of the text. Small or complex shape or text can be much easier and faster to WEED with Super Weed function. Convert and optimize size of your image for the web publishing. 3d Effects and Distortion of image. Apply automatically to your picture the function: Spheres, Wave, Emboss, Punch, Ripple, Bending , Cylindrical, Wind, Polar, Zoom Wave, Radial Wave, Swirl, Wave Shear and more. UPS does not deliver to P. If there is ever any problem with your product, please give us the chance to fix it. We have worked very hard to keep our feedback score at 100%. The item “Brand new SignMax 48 VINYL CUTTER + Powerful Software PRO 2014″ is in sale since Wednesday, July 26, 2017. This item is in the category “Business & Industrial\Printing & Graphic Arts\Plotters, Wide Format Printing\Cutters- Wide Format”. 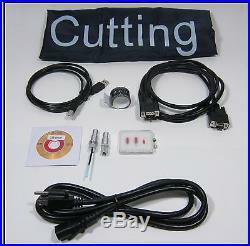 The seller is “signmakingsoftware” and is located in Montreal, Quebec. This item can be shipped to United States, Canada.